...... There are two ways in which you can do that. If you are a beginner, you may use the wizard and use Wise Disk Cleaner's default settings in order to clean-up your system. In you are an advanced user, you can customize the operations: you can manually select folders to be cleaned-up, you can erase files with certain extensions, exclude folders from the scan, etc. Why choose Wise Disk Cleaner Free? Wise Disk Cleaner Free will immediately free up huge valuable disk space and boost your system speed while never affecting system's normal running process. Windows Disk Cleaner Software erases complete disk permanently. The powerful disk clean up utility. A powerful tool for cleaning cobwebs of useless information clogging your system. Qweas is providing links to Wise Disk Cleaner Free 7.66 as a courtesy, and makes no representations regarding Wise Disk Cleaner Free or any other applications or any information related thereto. Any questions, complaints or claims regarding this application Wise Disk Cleaner Free 7.66 must be directed to the appropriate software vendor. 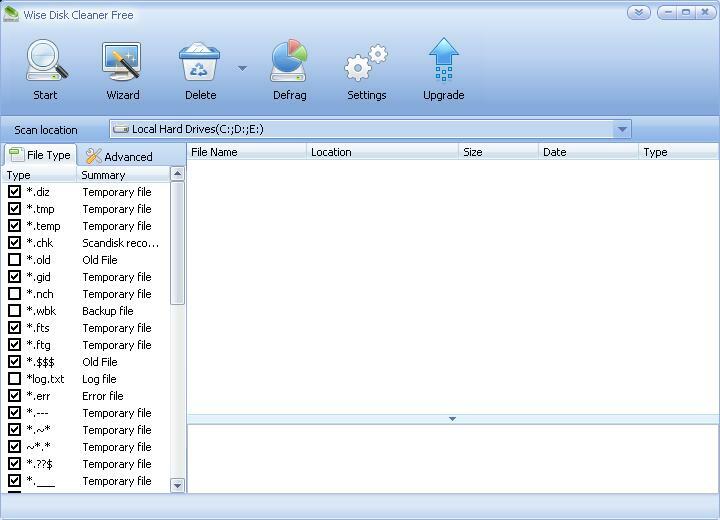 You may click the publisher link of Wise Disk Cleaner Free on the top of this page to get more details about the vendor.